FAST 256 GB SSD Disk drive, 8GB RAM. Backlit keyboard. Serving you is our pleasure. Windows 7 professional! You will always get a. Series: 3520M. Model: Latitude E6430. Type: Core i7. Type: DDR3. Form Factor: Laptop. LCD Size: 14". All manufacturers' warranties are void unless otherwise stated. Item Location. 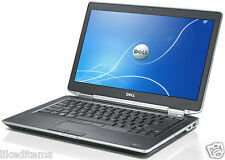 Dell Latitude E6430 ATG. The Rugged version of a Dell Latitude e6430 and have several upgrades that make them ideal for working conditions in the field and away from the office. 14” Latitude. 8GB DDR3 (2x4GB). 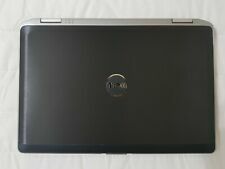 • (1) - DELL LATITUDE E6430 14" 1366X768 LAPTOP 4XF49 A00. • (1) - 500GB HDD HARD DISK DRIVE STORAGE. BIOS VER A02 E6430. WINDOWS 7 PRO INSTALLED (GENUINE). Item powers on. (might be missing hardware, or parts typically included could be missing. ). Series: 3520M. Model: Latitude E6430. Type: Core i7. Type: DDR3. Form Factor: Laptop. All manufacturers' warranties are void unless otherwise stated. Item Location. This unit includes an AC adapter. Series: 3540M. Model: Latitude E6430. Type: Core i7. Type: DDR3. Form Factor: Laptop. LCD Size: 14". All manufacturers' warranties are void unless otherwise stated. Item Location. Series: 3540M. Model: Latitude E6430. Type: Core i7. Type: DDR3. Form Factor: Laptop. All manufacturers' warranties are void unless otherwise stated. Item Location. This unit includes an AC adapter. Series: 3720QM. Model: Latitude E6430. Type: Core i7. Type: DDR3. Form Factor: Laptop. All manufacturers' warranties are void unless otherwise stated. Item Location. This unit does not include an AC adapter. 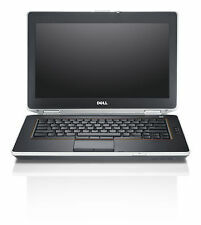 Collection station availableType: Notebook/LaptopBrand: DellProcessor: Intel Core i5 3rd Gen.
Dell, Inc. Dell Latitude. Notebook Type. Part Number: 462-3113. Microsoft Windows 7 Professional 64-bit Edition. Product Line. Microsoft Office 2013 (Trial). Wired Protocol.